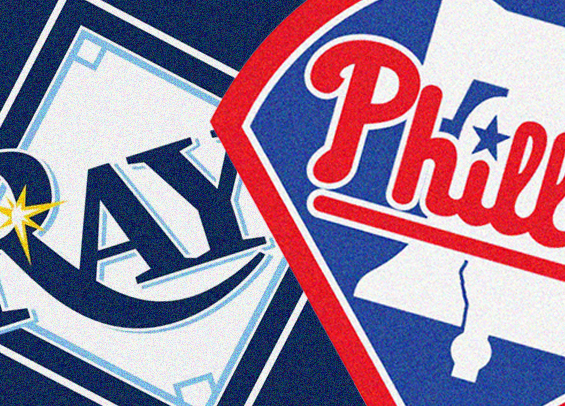 After a rough go of things during the opening week of the season, the Phillies visit Tampa Bay on Friday riding a three-game winning streak into Tropicana Field for a series with the last-place Rays. The Phillies won five of six at Citizens Bank Park this past week over the Marlins and Reds, finishing the homestand with a +28 run differential scoring an average of 7.3 runs per game. The starting pitching has been equally magnificent with a combined 2.87 ERA over 47 innings dating back to April 3. Friday's starter Vince Velasquez tossed six innings in his previous outing, surrendering one earned run on four hits. He struck out six. The Rays counter with right-hander Jake Faria who is seeking his first win since July of last year. Offensively, the Phillies continue to lead the league in pitches seen per plate appearances (4.29) while Rhys Hoskins leads the National League with a 1.185 OPS. Also of note, rookie Scott Kingery has three extra-base hits and seven RBIs over his last five games. According to Elias, he's the only player in the modern era (since 1900) to record his first career home run, grand slam, and walk-off RBI in three consecutive games. Manager Gabe Kapler was in the Tampa lineup the last time these clubs met at Tropicana Field. He went a combined 2-for-4 over the series and scored a pair of runs. Tampa returns home after a dreadful 2-6 road trip that featured series sweeps by the Yankees and Red Sox. The Rays did, however, take two of three from the White Sox to end the trek on a high note. Phillies' reliever Tommy Hunter completed pitchers fielding practice on Wednesday and appears ready to begin a rehab assignment. The 31-year-old injured his hamstring during spring training. There is no immediate timetable for his return, but he's progressing nicely.